I would like to express my deepest sympathies for the loss of your loved one who will be remembered for his furniture stores. Like most people I've owned a piece of Ikea furniture. May you find comfort and help in God during this time of mourning. My condolences to the bereaved family. May the love of close friends carry this family thru this time of sorrow (Proverbs 18:24). Ingvar Thank you for leading by example, being so down to earth and straight forward. I also thank you for making "simplicity" part of IKEA values, which very close to my heart, I love it. Simplicity has always been part of my life. My condolences to each and every member of the Kamprad family. My thoughts and prayers are with you. May you get the strength to get through this very difficult time. May you get the courage to carry forward Ingvar's dreams, vision and values..many things remain to be done and for a glorious future of IKEA. My condolences to the family during this time of such great sorrow. May the God of tender mercies comfort you and grant you peace now and in the days ahead. My family and I love Ikea. Very grateful for Mr.Kamprad's contribution.I hope the words of Jeremiah 29:11,12 comfort you during this time. "For I well know the thoughts that I am thinking toward you; declares Jehovah 'thoughts of peace, and not of calamity,to give you a future and a hope.And you will call me and come and pray to me,and I will listen to you ". Sorry for the lost of your beloved family Ingvar Kamprad. May the family and friends finds Comfort knowing that theirs a God who Cares about us all. My heartfelt condolences to the family and friends of Mr. Kamprad. May the wonderful memories of his life continue to comfort you today and in the days to come. May the peace of our most loving God be with you. I am sorry for your loss. May the peace of God be with you. 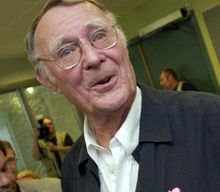 My sincere condolences to the family of Ingvar Kamprad truly sorry about your loss of your love one he will be missed by many a hard working man who invested his skills in many ways more than compare multitask indeed.IKEA furniture is awesome may the family seek peace and comfort at this time. My deepest condolences for your loss. I think many will agree what Ingvar created in the founding of IKEA, we have benefited greatly. May your cherished memories bring you comfort and may the God of all peace be your stronghold during this difficult time. Condolences to the entire family. May happy memories and the comfort from Almighty God be with and sustain all of you. Warm Christian Love to the family. My heartfelt condolences go to the family of Mr. Ingvar Kamprad. I am truly sorry for your loss. May you be consoled by knowing that God has the power to bind up the broken hearted and to comfort all who mourn. What an interesting life story! I am truly saddened to hear that Mr. Kamprad has passed. My sincere sympathies to the family as you cope with your loss. Lean upon the support of your friends and family as well as that of the Almighty to help you during this difficult time. My condolences on your loss of your loved one. We have all benefited from his unique ideas. God bless and keep you. Our hearts are saddened for the loss of your beloved Mr. Kamprad. May the God of tender mercies and all comfort be with his entire family now and in the days ahead. Agape Love! 2 Cor. 2-7. My deepest condolences to the entire family, may you draw comfort from our heavenly father he will help you endure. With heartfelt sympathy. Please accept my deepest condolences. May you continue to cherish his precious memories. May you find comfort in the God of all comfort to offer you comfort and to give you the strength to endure during these difficult times ahead. Sincere condolences to the family for your loss. May God comfort each of you during your time of mourning. To the family, I am sorry to hear the news a about your loss. May the family find comfort in the God of tender mercies and comfort (Isa. 51:3 and 2 Cor 1:3) during their time of grief.